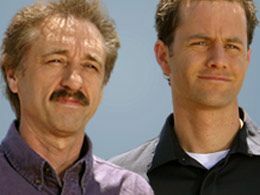 Ray Comfort is Wrong On Salvation! Ladies and gentleman, Ray Comfort is teaching works salvation! According to what we just read by Ray Comfort, every believer who is still living in deliberate sin won't be allowed into Heaven. If you lust or tell lies, then Mr. Comfort teaches that you have never repented and are going to Hell. Ray Comfort has a complete misunderstanding of the Biblical meaning of REPENTANCE concerning salvation. John MacArthur, Paul Washer, Kirk Cameron and Ray Comfort are all heretical Calvinists. The Lordship Salvation heresy is rooted in the works of John Calvin, particularly the Perseverance of The Saints heresy. The group in Matthew 7:21-23 were unsaved because they refused to do God's will concerning salvation. It wasn't because they still had personal sins in their life. Every believer still has sin in their life! We all sin every day. That's not to say that we have God's approval to sin, God forbid (Romans 3:31). It just means that even the best of Christians are still sinners. Ray Comfort wrestles the Scriptures to his own destruction, and sadly for those who follow his false teachings. It is not one's unwillingness to forsake personal sins that prevents a person from being saved; but rather, one's love for such sins. In John 5:40 Jesus said, "And ye will not come to me, that ye might have life." Jesus didn't say, "Ye cannot come." He said, "Ye WILL NOT come." But if such a sinner does come to Jesus, acknowledging his guilt of sin and sincerely desiring to be forgiven, the Lord will save him eternally. Jesus exclaimed in Mark 1:15, “...repent ye, and believe the gospel.” The Greek word for “repent” here is METANOEO, which means, “to change one's mind.” Biblical repentance is a change of one's mind. There is NO controversy if you believe the Bible. Amen! Pastor Ironside is correct concerning Biblical repentance and salvation. Yes, repentance is necessary for salvation, but Biblical repentance is simply acknowledging my sinnership, the owning before God that I am as sinful as He hath declared me to be in His Word. What a contrast in teaching from that of Ray Comfort! 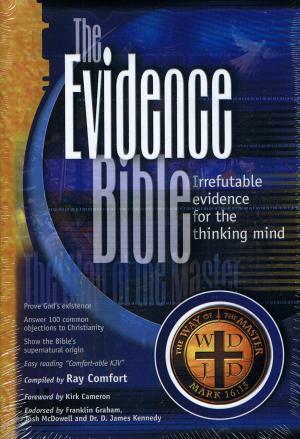 Harry Ironside is teaching the Bible correctly; Ray Comfort is not. We are saved by Christ's righteousness alone, and not in any way by our own self-righteousness. If a man must stop lusting and telling little white lies as part of saving faith (as Mr. Comfort teaches), then our salvation is dependent upon our willingness to clean up our sinful lifestyle and commit our life to live for God. Jack Chick teaches this same heresy. The FACT of the matter is that the Bible never uses the phrases “repent of your sins” or “turn from your sins” in regards to salvation. Salvation is the free gift of God—not of works—and relies totally upon God's mercy through the LITERAL blood sacrifice of Jesus Christ (Hebrews 9:12); not “turning from the act of sin” (Titus 3:5, Ephesians 2:8,9). “Repent” in regards to salvation does not mean “stop living in sin.” It means to “change one's mind.” Carefully notice in Mark 1:15 what Jesus said... “The time is fulfilled, and the kingdom of God is at hand: repent ye, and believe the gospel.” Notice that Jesus DIDN'T say “repent ye, and forsake your sins.” No, rather, Jesus said, “repent ye, and believe the gospel.” This is why we find the word “believe” mentioned 85-times in the Gospel of John, but the word “repent” is not mentioned even once. The man who has believed has repented, and the man who has repented has believed. Salvation is NOT a process. You don't give up your sins first as Ray Comfort teaches, and then place your faith in Christ. A changed life is the FRUIT of genuine repentance, and not a part of the ROOT of saving-faith. Lordship Salvationists have it backwards. The Bible teaches regeneration, which brings reformation. 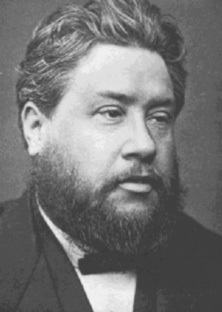 Lordship Salvationists require reformation as a condition of regeneration. Wrong! Salvation is receiving, NOT giving. 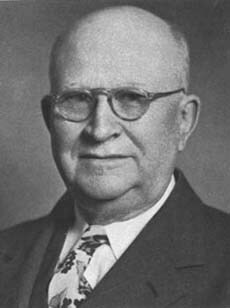 Mr. Tozer requires sinners to “reform” themselves before they can be saved. This goes totally contrary to the plainest teaching in the Bible. Romans 4:5 states: “But to him that worketh not, but believeth on him that justifieth the ungodly, his faith is counted for righteousness.” Mr. Tozer is teaching works salvation!!! Salvation is a free gift, freely given and freely received. Tozer's teaching on repentance is that you cannot come to Christ for salvation unless you first intend not to walk in sin after you receive Him. This is “qualification by works” as a prerequisite for receiving Christ as Savior. The Gospel is the most delicate thing in the universe and is so easily corrupted. It is so simple... We are SINNERS and Jesus is the SAVIOR. When anyone starts mandating that people give up their sinful habits to be saved, they've just made salvation extremely difficult and burdensome, because lifelong sinful habits are not easily broken. God is the One Who changes us after we get saved; it is not a requirement to salvation. 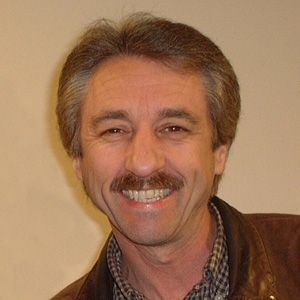 Ray Comfort is condemned by his own words. The Bible is clear in Romans 4:5... "But to him that worketh not, but believeth on him that justifieth the ungodly, his faith is counted for righteousness." Did not the thief on the cross utter just a few words ... "Lord, remember me"? Does not the Bible proclaim in Romans 10:13... "For whosoever shall call upon the name of the Lord shall be saved"? Why corrupt "the simplicity that is in Christ" (2nd Corinthians 11:3)? Biblically, one need only acknowledge their guilt of sin under God's Holy Law (Romans 3:19) and believe on Jesus for the forgiveness of sins (Acts 10:43). Ray Comfort perverts the simplicity of the Gospel. Any guilty sinner that believes on Christ for the forgiveness of sins will be saved eternally. The changed life comes as a newborn babe (new believer) feeds on the milk of the Word of God (1st Peter 2:2). Salvation is a free gift (Romans 6:23; Ephesians 2:8-9), freely given and freely received (Revelation 22:17). We must not confuse the FRUIT of genuine repentance with the ROOT of repentance, which is... "For by grace are ye saved through faith; and that not of yourselves: it is the gift of God: Not of works, lest any man should boast" (Ephesians 2:8-9). A changed life is the result of genuine repentance, and not a part of saving-faith. Biblical repentance is a change of mind that involves turning to Jesus Christ to be forgiven of one's sins. Although sincere and innocent sounding, it's a false gospel. Why? It's because Mr. Hinn ADDED to the Gospel. Where does the Word of God require serving and following Christ, i.e., a surrendered life, to be saved? It does NOT. By the way, Benny Hinn has publicly endorsed praying to Our Lady of Fatima on the Larry King Show. Every hellbound Catholic has no problem with the gospel of ray Comfort and Benny Hinn. The Biblical Gospel excludes ALL forms of self-righteousness. Benny Hinn and Ray Comfort teach ANOTHER GOSPEL that is not found in God's Word. Dr. Ironside is correct, anyone who teaches that salvation requires surrendering to Christ's Lordship is teaching a false gospel. That makes Jack Chick a false prophet, because he requires people to surrender their life to Christ to be saved. Jack Chick does not believe that faith in Christ is enough to be saved; he also teaches that a sinner MUST have intentions to reform to be saved. That is a very false gospel, ANOTHER GOSPEL. Heretics require a changed-life, i.e., surrendering to Christ's Lordship at the time of salvation as part of saving-faith. This is wrong, unbiblical and nowhere taught in the Scriptures. The word "gift" speaks for itself in Scripture, and only those who are self-righteous would dare say that salvation can be lost, or must be maintained in any way. It is the gift of God.